Freezer Not Freezing – How To Repair A Freezer That Is Running But Is Not Cold Enough? My Freezer is not freezing! I am having a problem with my Samsung refrigerator/freezer. It is not staying cold enough. My ice cream is soft and only half frozen. The ice cubes are slow to come out and are half the size. They are also half melted when I dispense them from the ice maker. With this issue, this sounds like the freezer is not getting as cold as it should be. This is a common problem and, luckily, an easy one to fix. So here are a few of the most common reasons your freezer might not be freezing, and how to correct the freezer not freezing issue. Remember, if you have issues with fixing your freezer, please ask your question below using the comments form and we will get back to you with a solution. 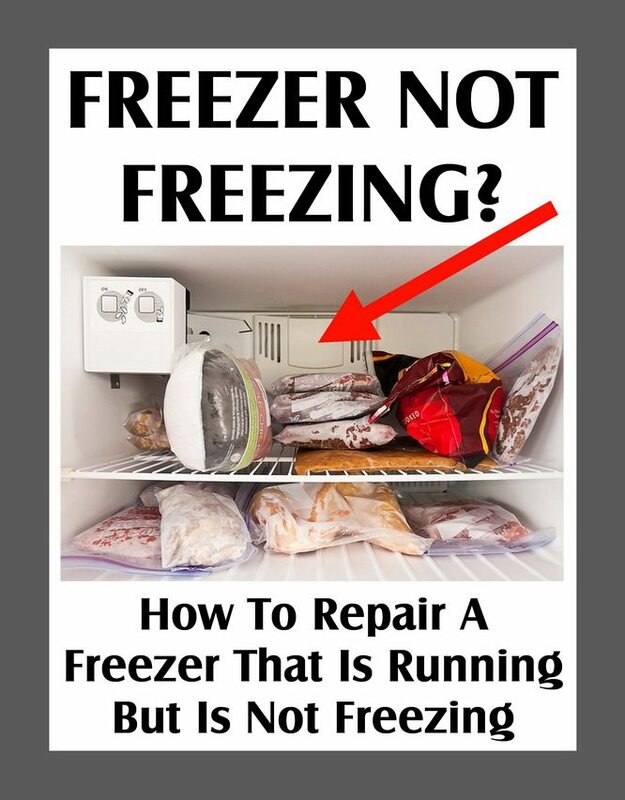 My Freezer Is Not Freezing – How To Repair A Freezer That Is Running But Is Not Freezing? Check your temperature settings on the freezer side. Make sure the freezer is at the CORRECT cooling position. Need help with which way to turn the dial to cool your fridge or freezer? The HIGHEST number on your temp dial is the COLDEST temp. Make sure the temp control for the freezer is as high as possible. NOTE: Your fridge/freezer temp controls may be dials, sliders, digital, etc. The evaporator fan motor pulls air over the evaporator coils. If the evaporator fan motor is not working, the freezer will not cool. Check evap fan to be sure it is working, if not replace and your freezer will be working again. Evap fans here. One of the first things you should check upon realizing your frozen foods aren’t so frozen is your compressor. This is the mechanism that makes your freezer work. If it’s humming, then it’s working. If not, try unplugging your freezer unit and plugging it back in. If that doesn’t work, it may be time to call in a repair pro or see this page here. If you open your freezer and notice frost along the sides of the compartment, there’s probably going to be frost choking up the coils as well. And when your coils are clogged with frost, air can’t circulate. To get things working again you’ll probably need to defrost your unit manually, which involves taking everything out of your freezer for a while. This can be a hassle, but could save you from buying a whole new freezer. If you have an auto-defrost freezer and this process returns it to it’s regular temperature, your problem might be a leak in refrigerant line, or a malfunction of the defrost thermostat or timer. For these issues you might need to replace a few parts, and call in a professional to find the root of the problem. For a freezer to cool properly, air must be able to circulate. If you’ve checked that the freezer is working but just not getting cold enough, make sure nothing is blocking the evaporator fan. If you have food too close to the fan, air can’t circulate through the compartment, meaning your food won’t stay cold enough. The first step to solving this is to locate the fan, then move any bags or boxes away from it. Having too much stuff in your freezer will also keep air from circulating. To correct it, we suggest cooking or getting rid of some of your frozen foods, and reorganizing your freezer so air can circulate more efficiently. Not only can your coils get choked with frost, they can also collect dirt and dust over time, restricting air flow and warming your freezer too much. To fix, turn off your freezer, pull it away from the wall, and locate the coils behind the unit. Vacuum with a soft brush to get rid of dust, dirt and other grimy buildup. If you’ve had your freezer for more than a few years, the problem might be the seals around the freezer door. Over time, seals can wear out and crack, letting cold air out and warm air in. To check for this, close your freezer door and run your hand along the edges of the door. If the seals are working properly you shouldn’t feel any cold air coming through. If you do, you should replace all the seals immediately to better lock in cold air and keep your freezer cooling properly. Having other appliance issues and not sure what to do about them? Contact us at Remove and Replace, where we have DIY repair articles for almost every appliance you can think of. 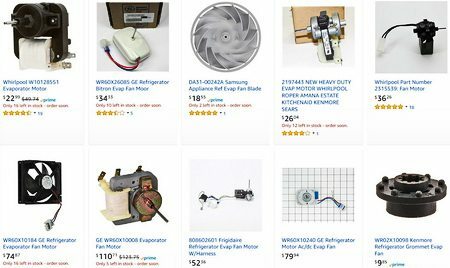 Our knowledgeable experts can show you step by step how to fix common household appliances, and we even have tutorials for DIY projects of all kinds. Use the form below to ask your question or add a comment. 3 month old whirlpool model wrs588fihz00 displays “not cooling” but lights in fridge and freezer work. 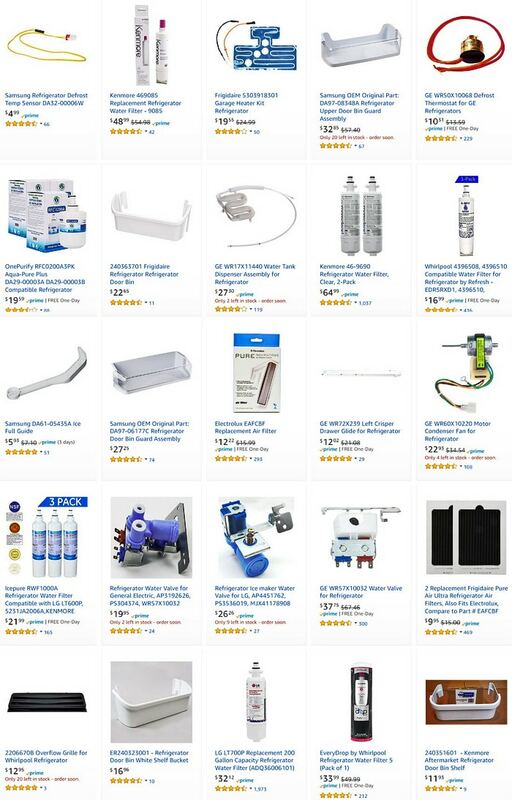 Ice will dispense but NO other of the functions which show up in blue lights shoe…. just red light saying not coolong. We have a new power box and breakers. Power to fridge is working. Too new for dirt/hair buildup. We unplugged then plugged back in. What more can we do? I have a samsung refrigerator ,when the ice tray fills with water to make ice, there is a constant slow drip that allows the tray to overfill allowing water to overflow into the ice Ben and freeze in the bottom of the Ben not allowing it to make ice cubes, can you help ? My whirlpool fridge is not working although the lights and power work well. The motor does not seemto berunning when switched on as I cannot hear any sound when the fridge is turned on. Th lights in front of the freezer are showing green and makes a beeping sound regularly.